By the close of business on the first quarter of 2014, the Toyota Corolla rolled in as the best-selling car in the world. The Corolla has held this title for years. 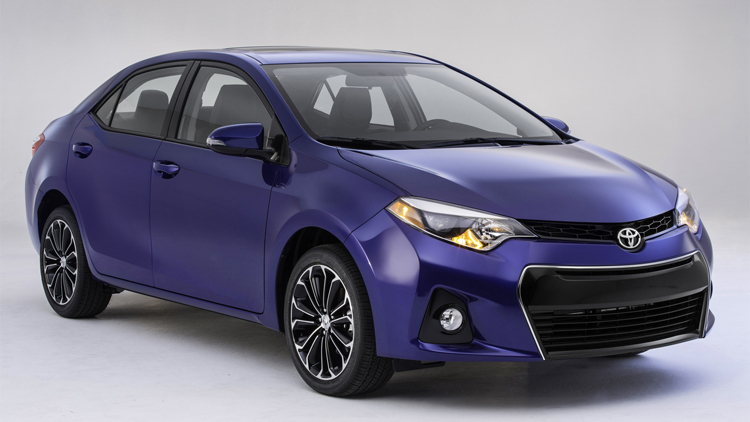 While the Corolla will never be billed as the flashiest car on the market, it has proven to be dependable in its simplicity, easy to drive, and affordable. For a compact car, it’s surprisingly roomy, seating four comfortably. Reviewers note that the Corolla accommodates taller passengers with ample legroom in the back and spacious front seats. U.S. News Best Cars notes that the interior is quite impressive. The Entune infotainment system is easy to use and superior for its class. Bluetooth, a USB port, auxiliary audio jack and steering wheel mounted audio controls are all standard features. Optional features include a backup camera, cruise control, keyless entry and moon roof. Toyota is advertising the Corolla’s tech features as “dope tech,” noting its tech audio with iPod connectivity, hands-free phone capability, and music streaming via Bluetooth. Dope, indeed. Car review site Autoblog agrees, stating the 2014 Corolla “is actually a whole lot nicer than its predecessor.” They praised it for being safe, reliable, and for getting good fuel economy. Who is the vehicle good for? This is a commuter car. It isn’t flashy or fancy. But it will be your best friend. It will be there for you, day after day. You can depend on your Corolla as your drive to work and back. It won’t cost you to drive home with it, and it has a history of being reliable, so it won’t cost you in repairs. Safe, practical, attractive, and economical. This is the car you marry. Those in the Huntington area, give Thabiti Lee a ring at Huntington Toyota and go test drive a Corolla. Or call Peter Zorzy and check out Atlantic Toyota in Amityville. Michael Rizzuto at Millennium Toyota on Franklin Avenue in Hempstead can put you in your 2014 Corolla today.